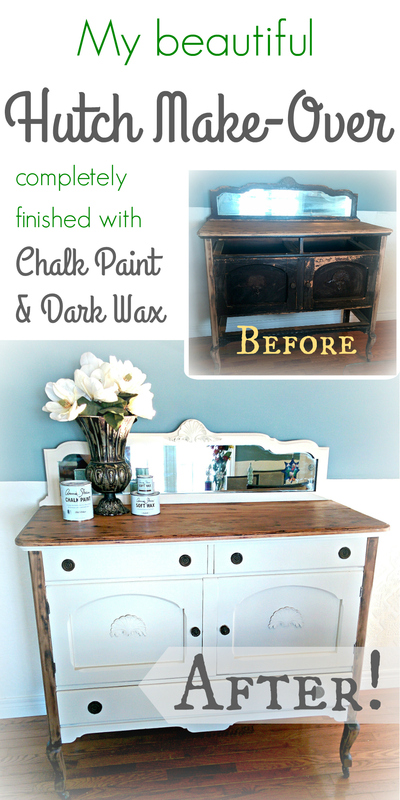 If you caught last week’s post, you’ll remember that I was super-excited, because I finally tried Chalk Paint! And you know what…. I’m still super-excited about it! Woo-hoo!!! So, without any further a due, I now present to you, my beautiful Hutch Make-Over! I love, love, love this piece! I always have…. growing up as a little girl in my parents 180+ year old farm house, it was always a main feature piece in their beautiful dining room. As my parent’s decor-taste changed, as people’s often does, this gorgeous piece was moved out into the barn for storage, where it has probably sat for roughly ten years. I was so excited to bring this hutch home and start working on it! Needless to say, it was in a little bit of rough shape…. I reinforced the piece using staples and finishing nails, and used wood filler to fill in any cracks. I then started sanding. One front foot was missing a piece, so to make them match, I took my trusty old hammer and tapped off the identical piece on the other front foot. I then sanded them down to round out the edges and make them match. This turned out to be such an easy solution to my major dilemma! Since I was going to use chalk paint to paint the rest of my hutch, all that I needed to do was sand down any of the previous finish that was flaking. I then chalk painted the body of the hutch. 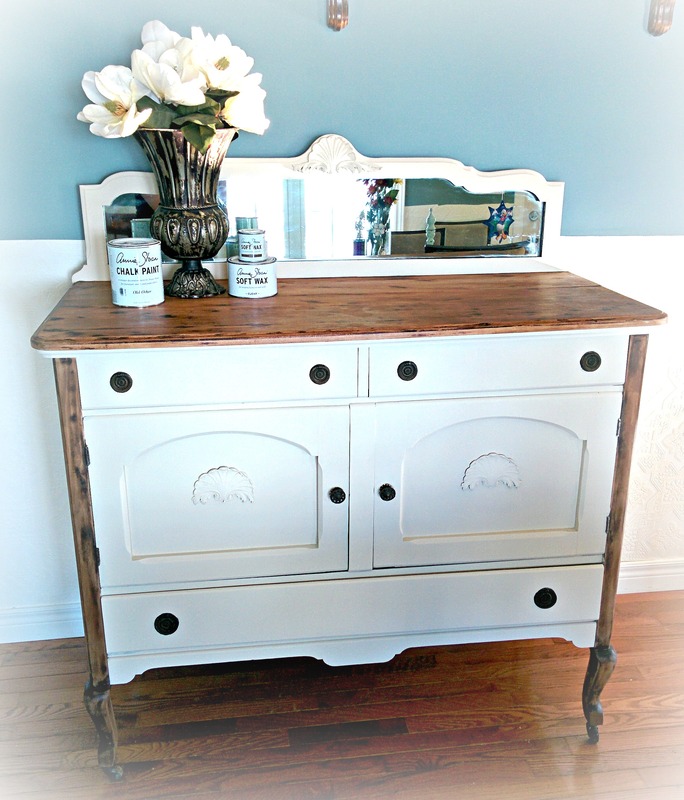 It only took two coats with this amazing chalk paint! 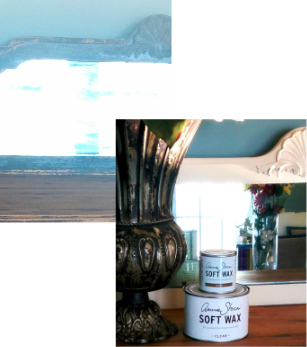 If you like, check out some of the reasons of why I decided to use chalk paint, and why I completely love chalk paint! To finish the top and front legs of the hutch, I decided to use the dark wax that can be used to create a different finish with the chalk paint. I would normally use a stain here, but wanted to try this out instead. And the result? Amazing! I completely love how it turned out! Ok, and here is the finished product! LOVE IT! 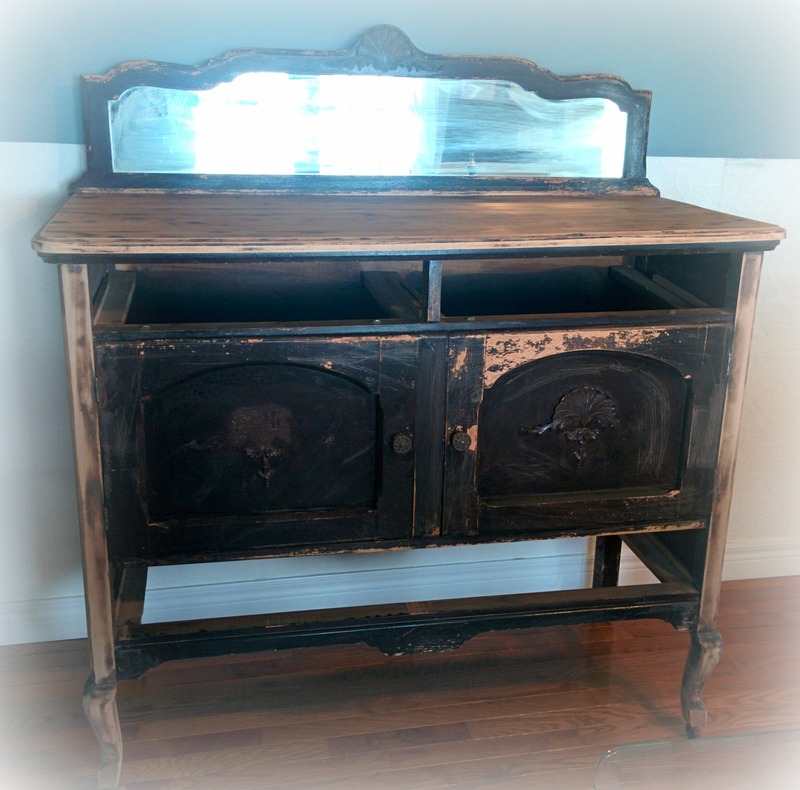 This entry was posted in DIY & DECOR and tagged Antique, Buffet, Chalk, Farm, farmhouse, House, Hutch, Make, Over, Paint by Sarah. Bookmark the permalink. Beautiful fix to a beautiful antique! Love this! What did you use to seal the wax finish on the top and front legs of this piece?